Barbara Teller Ornelas and Lynda Teller Pete have been weaving since they were little girls. As Navajo women, weaving is in their blood. 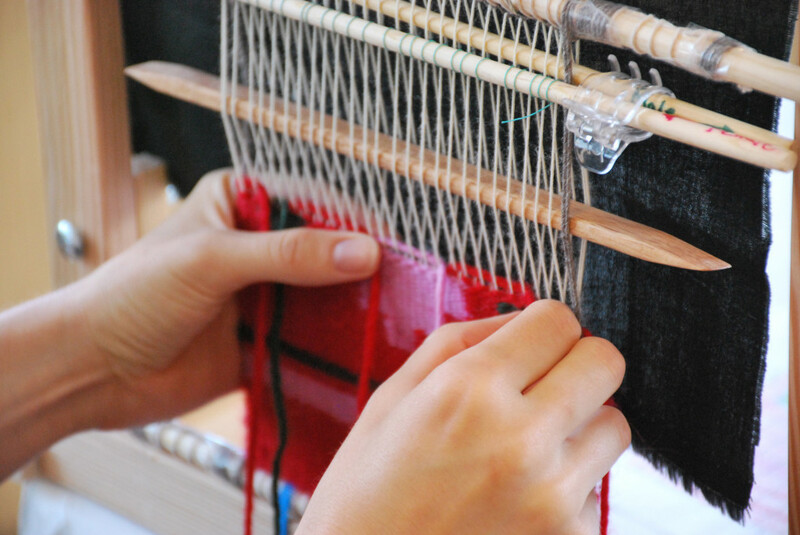 Weaving is a traditional art the Navajo have been doing for centuries. And the sisters are fortunate enough to be able to make a living doing what they love. Barbara and Lynda, both fifth-generation weavers, facilitated the Navajo Rug Weaving workshop at the inaugural Indigenous Fashion Week Toronto (IFWTO) in June. Barbara and Lynda do all the hand carding and spinning for five weavers, all family members. They used to get the wool from their aunt who kept sheep, but she retired. “The red-brown colour is the most prized colour, and it’s a natural colour. The younger sheep has that darker colour, and we try to get it from the belly where it’s not exposed to sun,” says Linda. They create their rugs to sell them at two major art shows a year; the Heard Museum Guild Indian Fair and Market in Phoenix, Arizona, and the Santa Fe Indian Market in New Mexico. Barbara Teller Ornelas is a Master Navajo weaver. 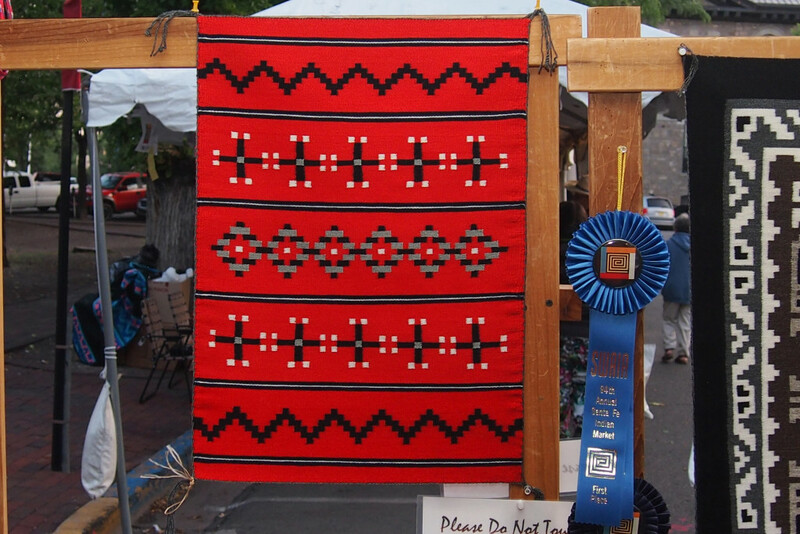 She has set several records with her weavings: she has won Best of Show at the Santa Fe Indian Market twice; she set a new record in 1987 by selling a weaving for $60,000 that she and her sister Rosann Lee made; and she wove the largest tapestry-style Navajo weaving on record. Barbara, who was raised near Two Grey Hills on the Navajo Reservation, recently participated in a cultural exchange with Peruvian weavers at the request of the US State Department. Lynda Teller Pete is a fifth-generation weaver. She has won many awards for her weaving, including Best of Classification for Textiles at the prestigious Santa Fe Indian Market. Lynda collaborates with museums, schools and art venues in Colorado and around the country to teach about Navajo weaving and lecturing about the history of weaving. Lynda has co-authored a book, Navajo Textiles: The Crane Collection at the Denver Museum of Nature and Science.